We have worked with several clients recently helping them transition from SOLIDWORKS Connector (DEC – Designer Central) to the new SOLIDWORKS XCAD – UPS (POWER’BY) Connector. Here we share some of the considerations for making this transition. As always, contact us for help whenever you make software changes and upgrades. 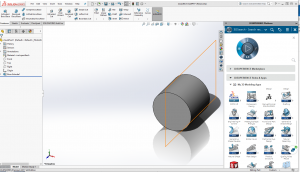 Basic PDM functions were simplified and easier to use in the new SOLIDWORKS connector. The old DEC interface and UI was too busy for some customers. However, if you are still using some older functionality like baselines or Copy From, you may need to continue using the DEC connector. I believe these functions will eventually be added to the new SOLIDWORKS connector and that the Plan for copy of structure will exist but it will be outside of SOLIDWORKS integration (as well as other XCAD) at the UPS level via the Product Structure Editor for CAD. Check with xLM Solutions to confirm future updates. Users will find that there is no more Windows Explorer integration on the client machine. There is only one local (non-shared) folder, although this folder can contain sub folders, on the client to work with. Objects can be floating on save. This is more like other PLM CAD integrations where there is one main workspace to “check in and out” of CAD data functionality. This is a performance improvement, however some customers preferred the look and feel and user experience of SOLIDWORKS PDM (EPDM). The solution has greatly simplified the cache back to the “ENOVIA SMARTEAM approach.” Hierarchy is only created within Bookmark folders and is not mirrored from the OS of the client, which was complex in the prior solution. The user is welcome to create and work in folder structures underneath MyWork but no reflection of that appears on the platform. The new SOLIDWORKS connector has access to the platform from within the SOLIDWORKS panel, i.e., access to dashboards and UPS like product structure, change management, etc. With the DEC connector, a user would have to take an extra step to browse in web to access some of that functionality, which required working into clients (SOLIDWORKS and web). This is a major paradigm shift. This will also allow a common UX experience over time across all managed CAD solutions in multi-CAD environments. With the new SOLIDWORKS connector, there is no option to access the history on an iteration level (the “get iteration” option). Revisions are always set to A.1. Some customers may see it as a simplification, while others as a loss of functionality. This is a known issue that UPS is not currently supporting iterations. Dassault Systems has not shared its long-term strategy on this point. The new SOLIDWORKS connector gets updated per every fix pack drop by Dassault. Mappings are still found on the physical product type rather than the specific representation type, though this may change in the future. On the other hand, the new connector allows you to see a unified product structure from different CAD systems and disciplines. This is an advantage for larger companies using multi-CAD. In the DEC connector, the CAD integration structure was disconnected. Every configuration is tied to a specific configuration. I hope filtering is a possible target for a future release. 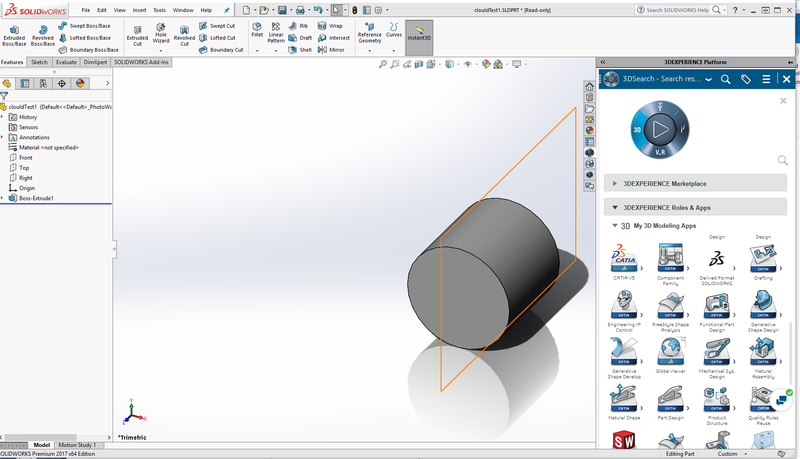 The new SOLIDWORKS connector uses the Exalead-based search connector, whereas the DEC connector had a database-specific search mechanism. I am not sure which approach is better and I do not have enough empirical data to assess it myself, however it is an advantage in a sense that it adheres to all other searches in the platform. xLM Solutions is your technology partner ready to assist you with software upgrades and configurations for your successful use of SOLIDWORKS. Contact us today.